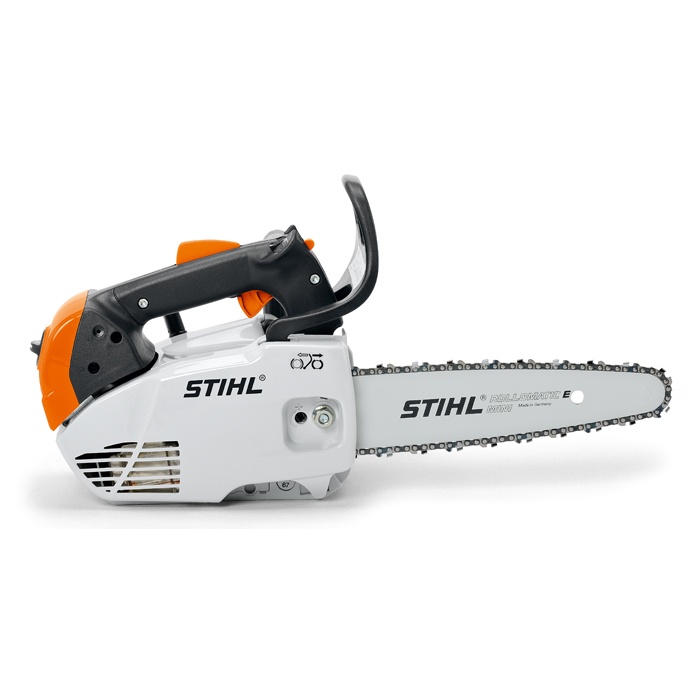 The Stihl MS150 TC-E 12" Chainsaw is a very lightweight, ergonomic Top Handle chainsaw ideal for pruning, hedgelaying and removing small limbs. It can also be used with a carving bar for for intricate woodwork. Reliable and easy to start thanks to a manual fuel pump and Ergo Start technology and uses a 1/4" chain and 2-MIX Engine. Service-friendly air filter system - The carburetor can be accessed without tools, so you can clean the air filter in a single step.